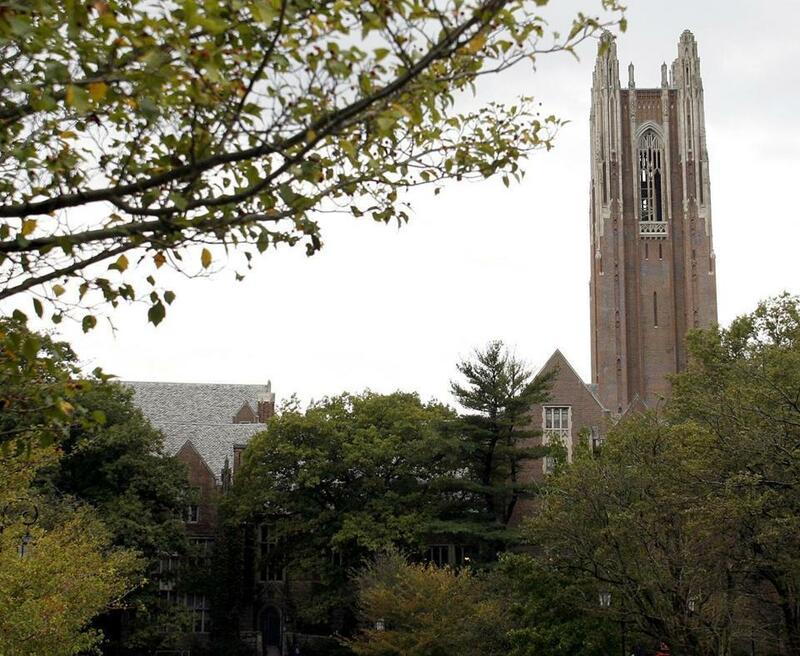 At Wellesley, nearly 10 percent of students came from families whose incomes ranked them in the top 1 percent, compared to the 5.5 percent of students whose families were in the bottom 20 percent of income earners, the Equality of Opportunity Project says. What does it cost to send your child to college? For parents trying to understand the price tag on a degree, getting the answer can be as daunting as deciphering the cost of a car on the dealership floor, where the sticker price rarely reflects the actual bill. But a growing number of private colleges and universities are adopting a quick calculator developed by a Wellesley College economics professor, Phillip Levine, in the hopes of simplifying the process and boosting their pool of applicants. Levine’s MyinTuition calculator was launched at Wellesley in 2013, but this year 15 colleges adopted the online tool, including Rice University, Dartmouth College, Columbia University, Pomona College, and Mount Holyoke College. Levine said he is in talks with other universities and expects to double the number of participating schools by April. The calculator is the latest tool universities are deploying to fight sticker shock, as college costs balloon and parents and students grow wary of taking on hefty debts for degrees. Many colleges, especially, smaller private schools, are concerned the initial cost of an education listed on their websites, anywhere from $60,000 to $70,000, may be scaring off students from low- and moderate-income families. Colleges generally provide price calculators on their websites, but they are usually complex, require families to check their tax filings, and tend to be abandoned after a few minutes, doing little to allay concerns about the high cost of college. At Williams, tuition, room and board, and fees total nearly $68,000 for the 2017-18 school year. But the average annual financial aid grant is $50,000, and about half the students receive some economic help, say college officials. Still, cost confusion can lead qualified students to go to less prestigious colleges that offer fewer grants and may ultimately be more expensive because families have to take out more in loans, university officials say. A college degree has increasingly become a marker for job security and a ladder out of poverty. In 2016, the unemployment rate for Americans with a bachelor’s degree was 2.7 percent, but 5.2 percent for those with just a high school diploma. Many elite colleges still struggle to attract students of modest means, however. According to the Equality of Opportunity Project, a collaboration between several leading economists who study income mobility, the share of students from low-income families at the country’s elite colleges changed little between 2000 and 2011, despite tuition reductions and outreach efforts. At Amherst College, nearly 17 percent of students came from top 1 percent of income earners, compared to 4.2 percent who came from the low-income families. Amherst, which joined MyinTuition in April, is hoping the calculator helps the school draw more applicants who may need financial help, said Katie Fretwell, its dean of admissions and financial aid. That initial price at Amherst — including tuition, board, travel, and health insurance — is estimated at $73,250 to $75,700 annually, and it can bring a family’s interest in the school “to a dead halt,” Fretwell said. Families don’t always understand that financial aid can lower the cost of an education significantly, she said. Colleges and universities may also have more practical reasons for broadening their appeal and making sure families know that they can be affordable, Lanza-Cosgrove said. The US economic recovery and the shrinking college-age population mean that enrollments are declining nationwide. College enrollment dropped by 1.4 percent in the fall of 2016, the third year in a row that it fell, according to the National Student Clearinghouse Research Center. Institutions in Massachusetts saw enrollments decline by nearly 3 percent. “Colleges are going to have to woo students who are less able to afford college, less inclined to pay high costs, and who may not be familiar with the complexities of the financial aid process,” Lanza-Cosgrove said.